Tammy Abraham has banged in yet another goal for Aston Villa, and he’s now the Championship’s top goalscorer with 17. 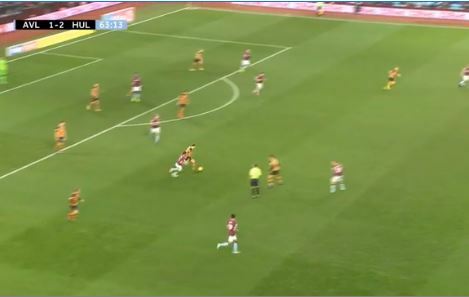 The striker took advantage of his team’s powerful high press to get in to the dangerzone in the box and finish at the second time of asking. We could have done with him against Arsenal to be honest. Although we’d rarely make chances this good for him in our team.